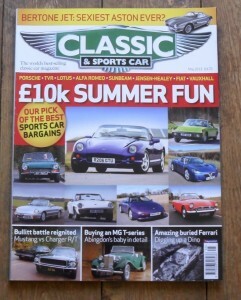 May 2013 of the British Magazine, Classic and Sports Car. 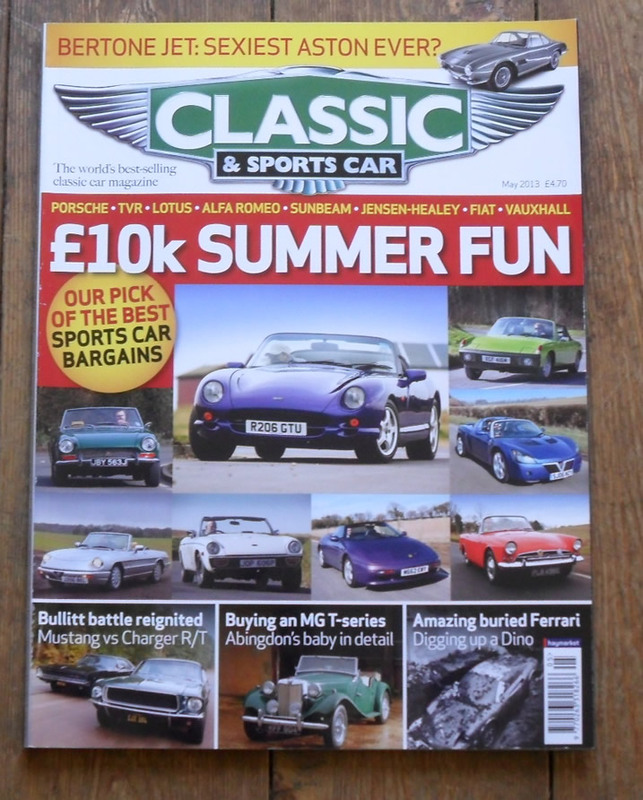 The cover feature of this issue is summer cars for £10k. Other articles include items on the Ford Mustang vs the Dodge Charger R/T, a buried Ferrari Dino, MG TA – TF series, Lotus Eclat, Porsche 924, Alfa Romeo Alfetta, Mazda RX7 and many more.